The Australian Competition and Consumer Commission is proposing to grant authorisation to enable members of the NSW Farmers’ Association, who grow chicken, turkey and duck meat, to collectively bargain with processors. Under the proposed arrangements, poultry growers will form common interest ‘grower groups’ to collectively bargain the terms and conditions of contracts with the relevant poultry processor. 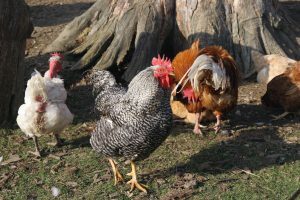 Under existing New South Wales legislation, chicken and turkey growers can currently collectively bargain with processors. Authorisation would allow them to continue the arrangements if the NSW legislation is removed. Authorisation would also allow duck growers not covered under legislation to begin collective bargaining. “Collective bargaining will allow poultry growers to share transaction costs, such as employing expert advisors, which can improve their input into contracts,” said Dr Michael Schaper, ACCC Deputy Chair. “The arrangement may lead to more efficient contracts, which better reflect the circumstances of the growers and processor,” he said. The ACCC is proposing to grant authorisation for ten years. Authorisation provides immunity from court action for conduct that might otherwise raise concerns under the competition provisions of the Competition and Consumer Act 2010. Broadly, the ACCC may grant authorisation when it is satisfied that the public benefit from the conduct outweighs any public detriment.